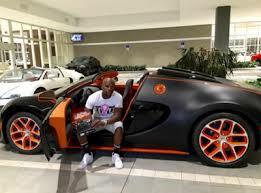 Just another day in the life of Floyd Mayweather Jr. 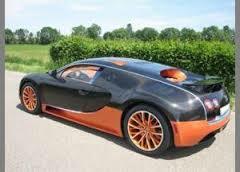 The now-retired ring king is obviously not strapped for cash post-career, spending $3,498,000 (£2,280,000) on the new 2015 Bugatti Veyron Grand Sport Vitesse. According to the official Bugatti website, the car goes from 0-100 kilometers per hour in 2.7 seconds, with a top speed of 407 kph (about 253 mph). That's what $3.5 million can buy you. It's fair to say Money likes his cars, having spent $4.8 million on a Koenigsegg CCXR Trevita just a couple of months ago. Only two were ever made.